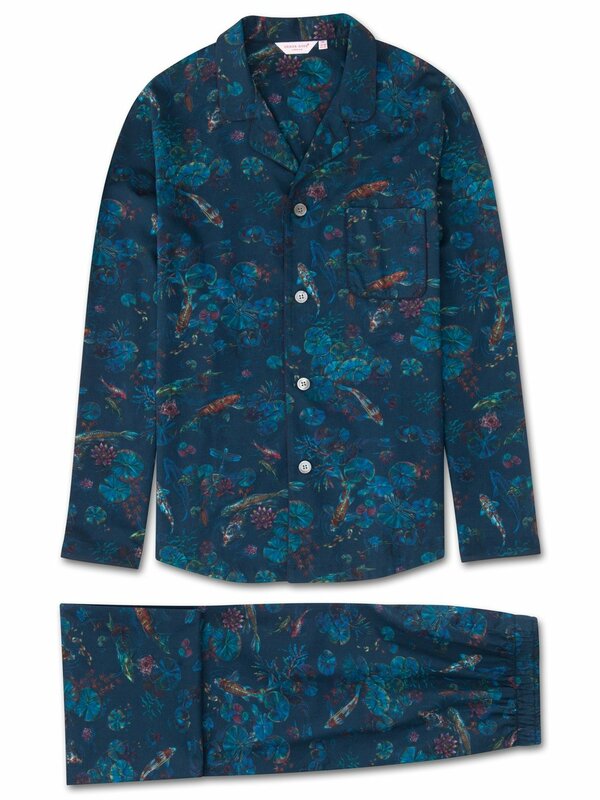 For a stylish sleepwear must-have, the Ledbury 13 modern fit pyjama set features our hand-drawn print of the season utilising a dark green background to offset the colourful, inky illustrations of koi carp swimming amongst the lily pads - traditionally a symbol of luck and prosperity in Japan. Ideal for warmer conditions, our lightweight Ledbury 13 piped pyjama is destined for stylish off-duty wear. Like all of our modern fit pyjamas, the Ledbury 13 is designed for a more streamlined and contemporary cut; one that is closer to the body without being restricting.